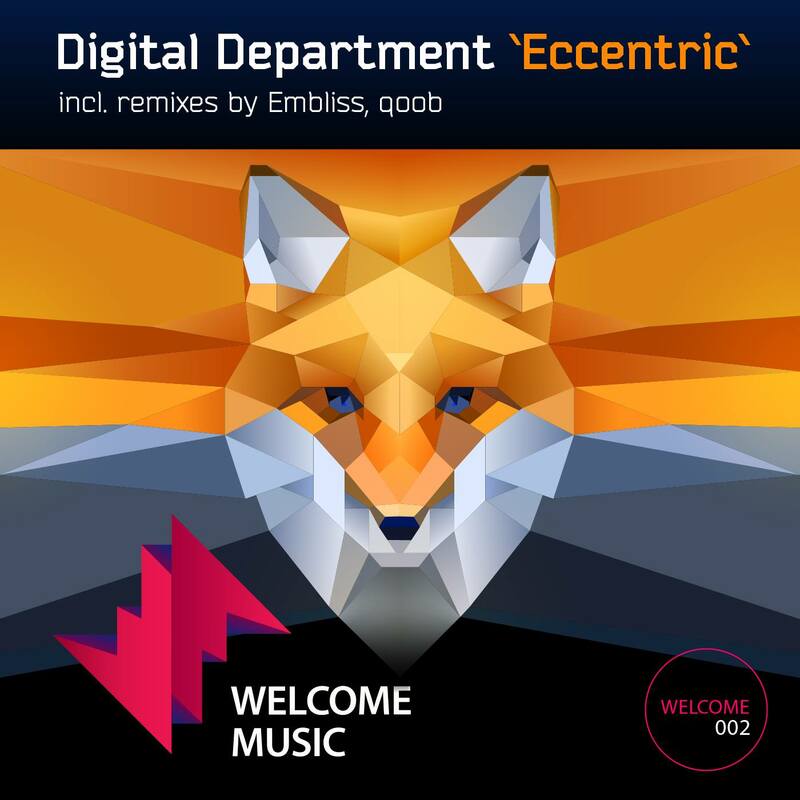 Digital Department – Eccentric with qoob and Embliss remixes is OUT NOW as Beatport exclusive! Thanks to Change Underground for a fantastic review! Also supported by: Monojoke, Llupa, Praveen Achary, Domased Electronica, Rasti Tkac, Cosmonaut, Max Flyant, D-Phrag, Roger T, OMD, Suffused music, Michael & Levan, Line Of Sight, Anton Veter, Andrees and Yakoff, Esok, Jayson Butera, George Marvel, Igor K, Fernando Ferreyra, John (YAMS), MDK, Eve Falcon, Julian Rodriguez, DJ 19, Evgeniy Volkov, Alfoa, and many more. Currently available as a Beatport Exclusive. Get it here. Click below for the full release info. Another chapter for the new but promising label has been finally opened and this time Welcome Music proudly presents a brand new astonishing EP titled ‘ECCENTRIC’ ready from now for your speakers and ears! This 2nd installment is featured by tasty sound from following masters like Digital Department, qoob and Embliss! ‘Eccentric’ starts with the single from well-known dj, producer as well label boss Arseniy Somotov aka Digital Department. The stuff supported by such giants like Markus Schulz, Paul Oakenfold, Paul Van Dyk and many others .His marvelous progressive house original track crafted for us truly mesmerizes during playing may be therefore this one literally leads to the fact this song is going to play over and over again. It’s seriously a huge and pure pleasure listen to this one. Tim Brandwijk aka Embliss is a great producer from Holland. He has acquired the fame so quickly thanks to the his own diligence, assertiveness and also early start of his career when his first recording contract was held at the age of just 15. Currently Tim is successfully featured on the top labels: Armada, Anjunadeep,Proton and many others. Embliss remix overfilled with an excellent deep and tight vibe. If you decided check it out, you probably wouldn’t stay aside because it tears off at once and takes you to unreal journey. All deepness is fully expressed out here. No doubt, it must fascinate listeners and even the most cranky of them. qoob is a Russian united force from planet Earth like they call themselves. In fact it’s the duo where the main man who’s been managing this project is Kirill Andreev hailed from Saint-Petersburg and other artist is Eugene Maltsev residing in Yekaterinburg. Guys do not love talking about what they do and prefer when the music speaks for themself. So more likely their music doesn’t remain silent and this time. Actually, this delightful release will make you feel better for sure! Which are your favourites? Seems it’s time to figure out and then bother download this one while it’s enough hot!